Paula has been developing her garden for the past ten years, starting with a backbone of mostly native plants. 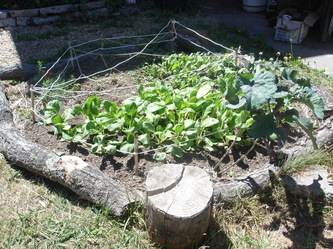 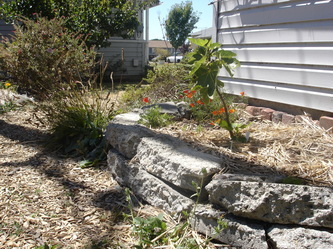 She's used recycled concrete and logs to create raised beds. Having worked to improve soil fertility through composting, amendments, and cover crops, she is now growing more vegetables and other edibles, including several fruit trees. 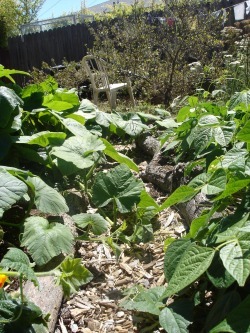 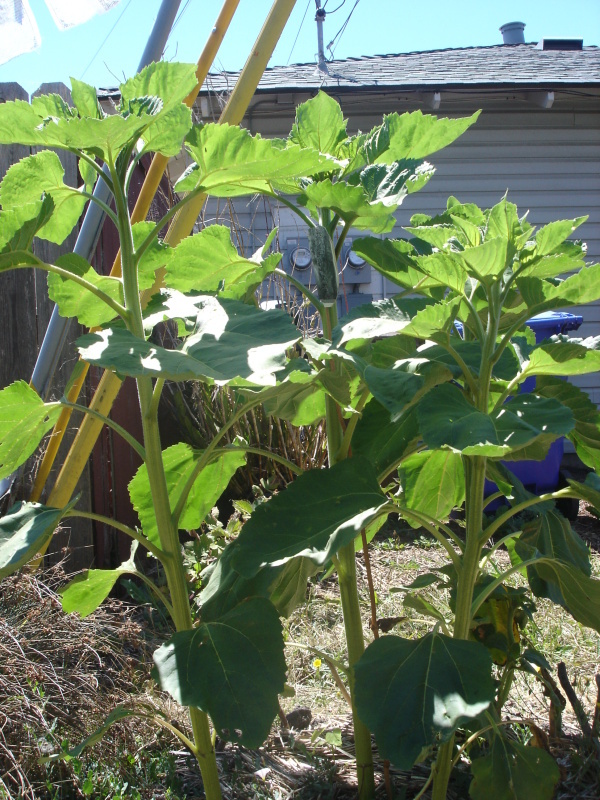 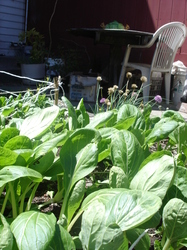 Paula collects greywater and rainwater for irrigating her garden. This is a great example of how a small lawn space can be radically transformed. 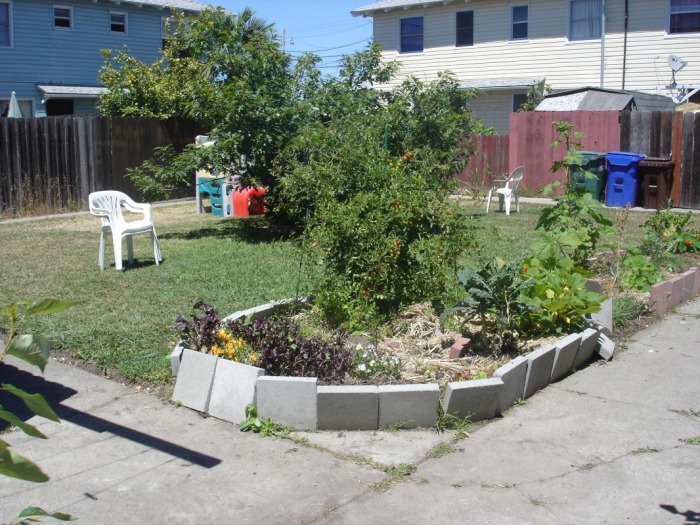 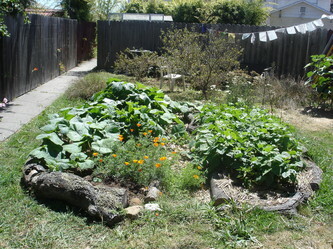 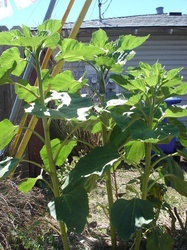 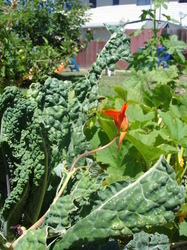 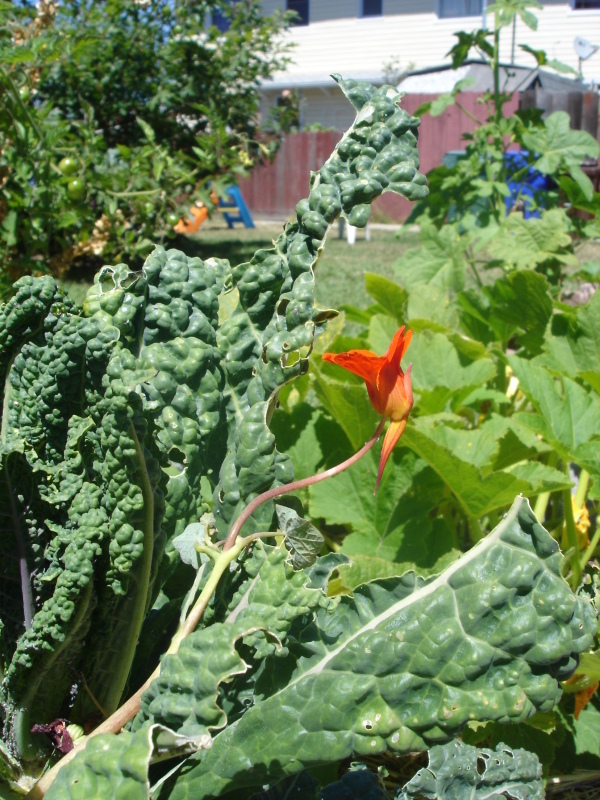 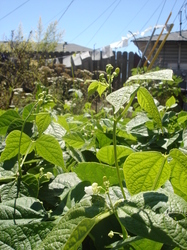 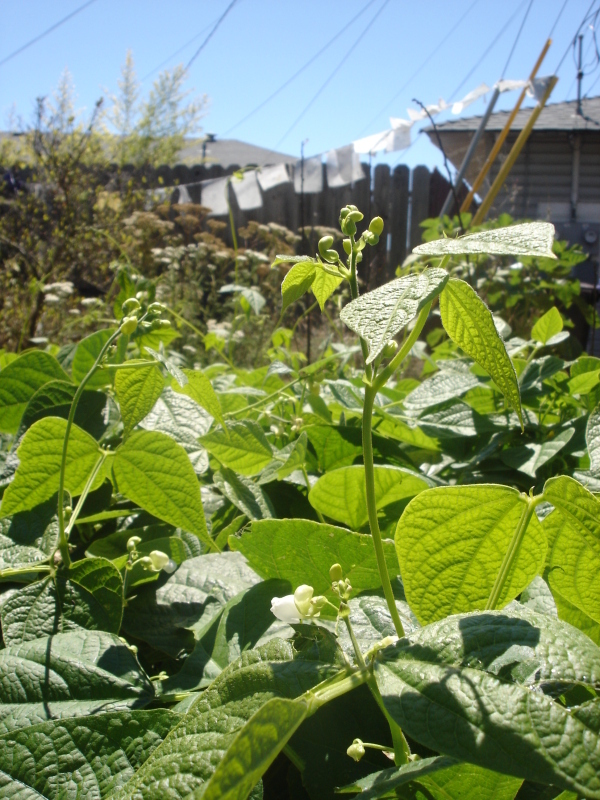 The unique community-oriented layout of Atchison Village homes allowed Paula and her neighbors to create a community food garden in it. 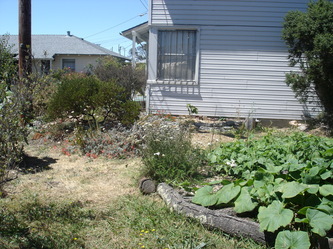 Other neighbors have beautiful flower gardens that are easily viewed by wandering paths around Paula's place.